American League Predictions: With the New York Yankees restoring order in the American League last season, winning their first World Series since 2000, things aren't as up for grabs as they used to be. (Excuse me while I throw up). Even still, the Minnesota Twins heading into a new ballpark with their franchise player under contract, the Tampa Bay Rays ushering out their newest crop of young talent, and of course the wild, wild, American League West is up for grabs. Get After It. . .
American League West Texas Rangers. The consensus is that the this is the season the Rangers put it all together and win the American League West, I'm part of that consensus. By adding Rich Harden this offseason, the Rangers are hoping to finally add starting pitching to their dominating offense. Pitching would be the key for Texas this year, and it looks as though they have it. 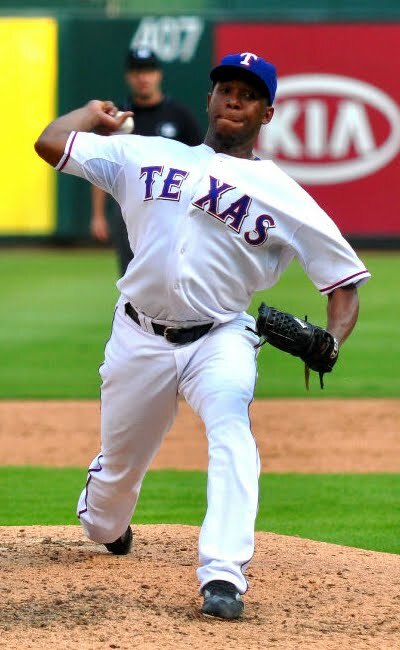 From closer Frank Francisco to relievers Darren Oliver, C.J. Wilson and Dominican born Neftali Feliz their bullpen looks tough. To pair with Harden is 17-game winner Scott Feldman and a bevy of young arms beginning with 24-year old Matt Harrison looking to bounce back. As for that offense, they'll need Josh Hamilton to have a bounce back season after his injury plagued 2009, and I believe he will. After Hamilton it comes down to outfielder Nelson Cruz coming off his best season as a pro and of course Ian Kinsler who is having injury issues all Spring, hopefully his bat comes alive as it did a season ago in which he slugged 31 homeruns. Despite Ron Washington's off the field issues, this team plays tough for the Ranger manager, and tough enough to win the American League West. American League Central Minnesota Twins. Closer Joe Nathan out for the season before we even get under way, I'm still all in. The Twins are moving into a new ballpark this season in Minnesota and have their franchise player, catcher Joe Mauer, signed, sealed, and delivered before he steps into the batters box, I love it. A reigning American League MVP in Joe Mauer and a former American League MVP in Justin Morneau, the Twins duo puts fear into opposing pitchers and they are as consistent as it gets. By adding both Orlando Hudson and Jim Thome in the offseason, the Twins are attempting to give themselves more depth to make a long run. While I decided on Minnesota prior to Joe Nathan going down, and I respect that "by committee" isn't the most efficient way to run the closer position, they'll have to make due, and that's what Twins manager Ron Gardenhire has been doing his entire time in Minnesota. I'm hinging my bets to the return of a healthy Francisco Liriano to where he was supposed to be a couple years ago. 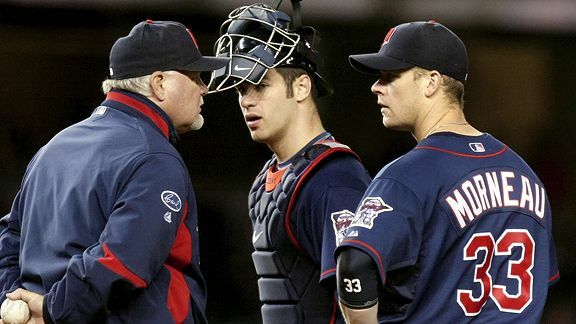 Here's a team who lost Johan and still won, they can handle the injury to Joe Nathan. American League East New York Yankees. It's the Yankees, the Yankees are back, as much as it pains me, they are. Departing with aging stars Johnny Damon and Hideki Matsui, the Yanks have added Curtis Granderson, a young star coming into his own. The former Detroit Tiger center fielder is a quality fielder who gets on base, steals bases, and even adds power to a lineup that isn't short of that. That'd be the rich, getting richer. If the Yankees pitching acquisition, standout Braves pitcher Javier Vazquez, can put his past Yankee struggles in the past, he'll be another arm in a standout staff. You know all that though. The Yankees are the Derek Jeters', Alex Rodriguez', and of course Mark Teixeira, however this year may just be the year hopeful Phil Hughes comes through. 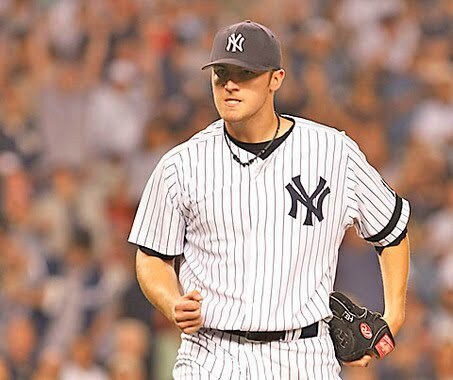 Designated to a 5th starter role, the 23-year old starter looks to add to his 2009 success. A season ago, Hughes had an earned run average just over three yet held opposing hitters to just a .217 batting average. If the Yankees don't come out and make a serious run at repeating, I'd be stunned and so would the rest of the baseball world. Year two in the new stadium is bound to bring some fireworks. the defense that they are going to focus on and with these starters, you can bet things in Boston are going to look real good very quickly. This may be the Red Sox best opportunity to return to the World Series. 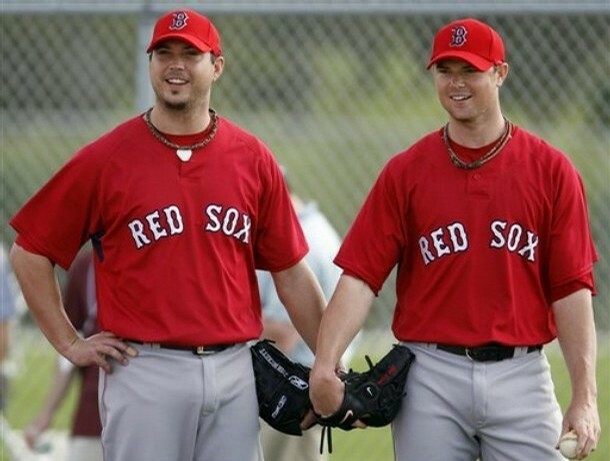 With Lackey out to prove he's worth the monster contract the Red Sox gave him this off season, Josh Beckett looking to do the same in a contract season, and Jon Lester looking to bounce back and take his place among the American League elite pitching talents. With Victor Martinez behind the plate every day and filling in nicely in the middle of the Red Sox lineup, the Red Sox have done good by removing veteran Jason Varitek from the picture, now they've got to find a way to get him out of town. The Red Sox are going to win 90 games and while Tampa will give them a run, not much is going to get in the way of a Boston playoff appearance, and in a short series, watch out. American League MVP Joe Mauer. Can he re-peat as the American League MVP? Of course. The Twins big money man is ready for the challenge, putting a franchise on his back and watching as the Twins usher both he and their fans into a brand new ballpark. Mauer's monster 2009 season both propelled him to this new contract, but it did more to create a legend of a ball player. Mauer slammed career highs in homers, average, OPS, and slugging percentage. Now it's time to get it done. Joe Mauer will repeat and watch the legend grow for this 26-year old phenom. American League Cy Young Jon Lester. Till he wins this award, I'm predicting he will. Lester has flashed glimpses of brilliance throughout his time in Beantown, and if he puts it together for 162 games, he'll bring a Cy Young back to Boston. If Lester can play behind both Beckett and Lackey he'll stand out in just his third full season in the majors. If this 26-year old doesn't give AL pitchers a serious run, I'll be stunned. Twenty-One through Thirty-Two: Mock It Up! Eleven Through Twenty: Mock It Up! One Through Ten: Mock It Up! I moved all in . . .
Shhh; It's Time To Keep It Real! Bulldogs, Blue Devils, Get After It!